A new museum is growing in Lisbon the new Museu da Arte, Arquitetura e Tecnologia (Museum of Art, Architecture and Technology) and the works are already underway. 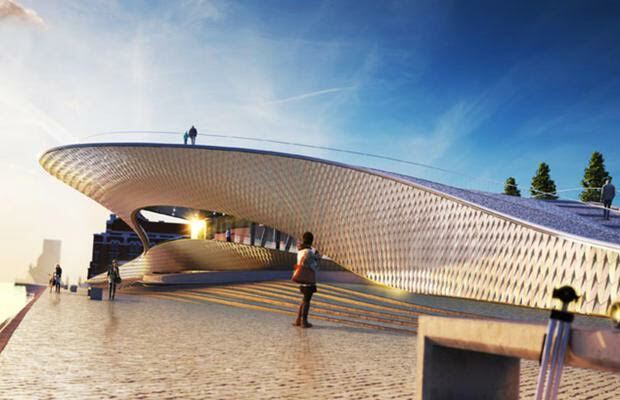 Scheduled to open on the summer of 2016, the museum is being built by the Tejo River, adjacent to the Museu da Electricidade (Electricity Museum) and it is a project by the EDP Foundation. The director of the museum will be the architect Pedro Gadanho who was in the last couple of years the contemporary architecture curator at the Museum of Modern Art (MoMA) in New York. Designed by the British architect Amanda Levete, the building will have approximately three thousand square meters for exhibitions and events. It will also include a restaurant overlooking the 25 de Abril Bridge, and the possibility of walking all over the building. The outside staircase comes down, all the way to the Tejo, creating a large public space.